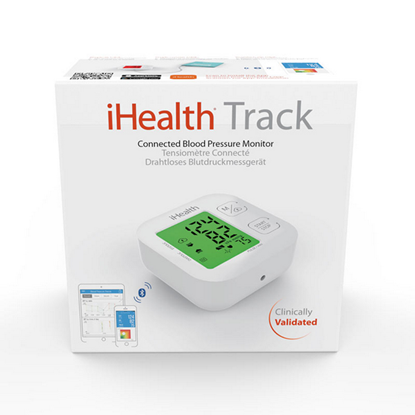 Track changes in your blood pressure The iHealth Sense connected wrist blood pressure monitor measures your blood pressure, heartbeat and detects arrhythmia. For optimal results, find the perfect position on your wrist using the gauge on the app. iHealth Sense will accompany you everywhere you go thanks to excellent battery life of around 80 uses. A smart blood pressure monitor easy to use by everyone! 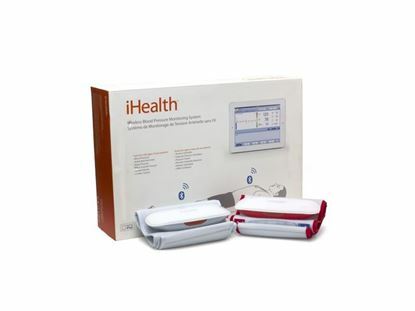 Our new iHealth Track Blood Pressure monitor has been designed for easy use, with or without a smartphone. Taking your blood pressure has never been so easy! Digital automatic wrist blood pressure monitor with 2 memory locations and average of them. Measurment during inflation. Indications: systolic-diastolic-pulse-pulse pressure arrhythmia-detection of motion during the measurement cuff condition-date and time. Tested and validated by European Standards (ESH). European Society of Hypertention. Japan. 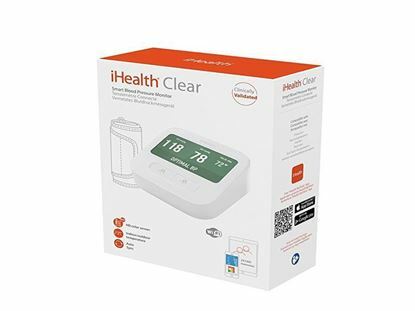 iHealth Clear (BPM1) is a wireless blood pressure monitor that measures blood pressure and pulse, and detects arrhythmias (irregular heartbeats). iHealth CardioLab is a wireless cardiovascular monitoring system that measures or calculates blood pressure and several cardiovascular vectors such as Ankle Brachial Index (ABI), Pulse Pressure (PP), Mean Arterial Pressure (MAP), Cardiac Output (CO) and Stroke Volume (SV). It gives a clear and comprehensive picture of a patient’s cardiovascular health. Digital automatic blood pressure monitor with 2 memory locations and average of them. Measurement during inflation. Indications: systolic-diastolic-pulse-pulse pressure arrhythmia - detection of motion during the measurment cuff condition - date and time - measurement during deflation. Tested and validated by European Standards (ESH). European Society of Hypertention. Japan.